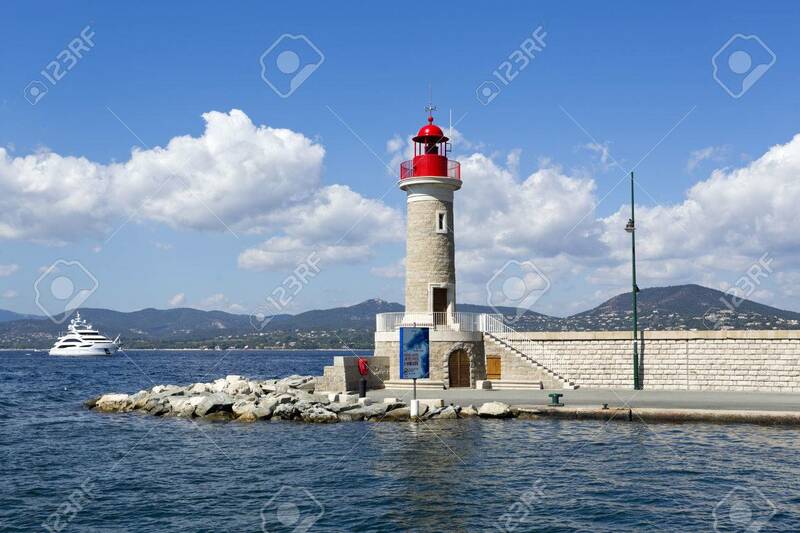 Lighthouse Of The Port Of St. Tropez, In The French Riviera,.. Stock Photo, Picture And Royalty Free Image. Image 39022260. Stock Photo - Lighthouse of the Port of St. Tropez, in the French Riviera, with a yacht in the background. Lighthouse of the Port of St. Tropez, in the French Riviera, with a yacht in the background.